A lot of companies, schools or organizations already use their own ID cards. ID Software is used for the creation and production of the cards. Often the organizations don not get the most out of the software and end up with a less secure card. Here are 5 tips to improve security of your ID card by using features available in card production software. For these tips, we use the BadgeMaker software suite by ScreenCheck. 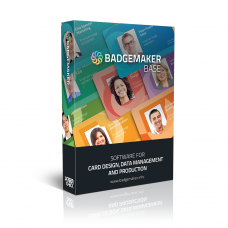 The features we discuss are part of the BadgeMaker Start and BadgeMaker Base software, as well as the BadgeMaker Encode Add-on. Adding an photo might be obvious to most, but often organizations only use card holders’ data, without any photo ID. No photo makes it easy to hand the card over to someone else and use it for wrong purposes. A photo ID card allows for a quick visual confirmation that the rightful card holder is the person in front of you. In BadgeMaker, you can use any webcam to start capturing photos and add them to your project. You can also add a batch of photos that have been taken with a professional camera. A photo ID is really worth the effort and makes a significant improvement in the security of your ID cards. Barcodes, especially 2D barcodes such as QR codes or PDF417 are a great way to quickly transfer information from a card to an external device such as a mobile phone. Barcodes can contain data relevant to the card holder such as their name, employee number or even security clearance. QR codes can be scanned using mobile apps, or webcams on any computer. It is difficult to falsify 2D barcodes, which makes them excellent to improve your ID card security. In case you’re new to the term, Holokote technology is invented by Magicard and used on the Enduro, Rio Pro and Helix printers. 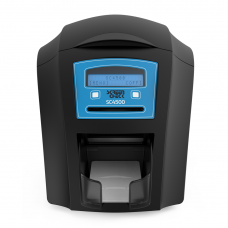 Additionally, the ScreenCheck printers SC4500 and SC6500 also support this feature. It is a cost effective way of adding security. Instead of the regular overlay, a logo is printed to the layer which remains visible after printing. 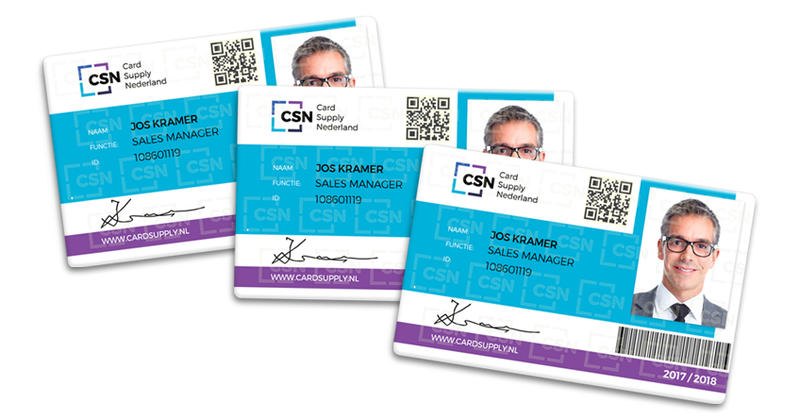 This feature is a great way to prevent counterfeit cards in your organization. Signatures can be used in ways similar to adding a photo ID to the card. Adding a signature, enables you to verify authenticity of signed documents by comparing the document to the signature on the card. BadgeMaker supports the capture of signatures on all its versions, even the entry level BadgeMaker Start. Your card holders simply enter their autograph on a signature pad connected to your system. You can use the signature directly on the card as another layer of visual authentication. This fifth tip is an important step to further protect your business or school, and is also relevant for smaller organizations. 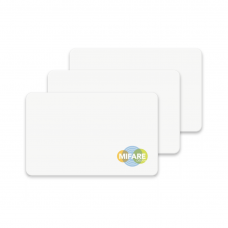 When encoding cards, instead of an ordinary CR-80 card, you can choose one of the following smartcards: MIFARE Classic, Plus, or DESfire card. By encoding your card, you can store more information about the person you are trying to identify. With an encoded card you can have access control, time registration and pay.